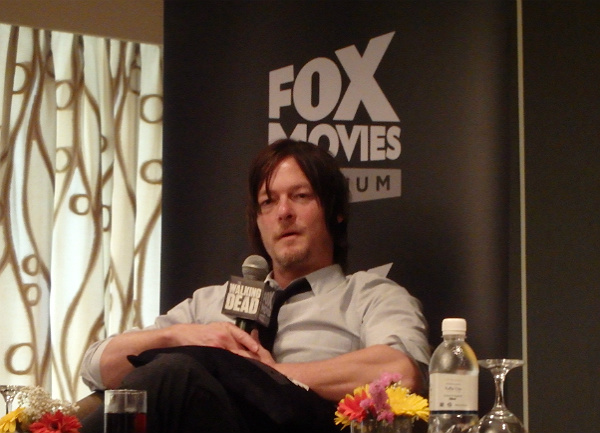 Here’s one of the results of my Singapore The Walking Dead trip: an interview with Norman Reedus. Full coverage will be available in Total Film Indonesia Issue #52 (out this weekend) consisting of a 2-page Norman Reedus interview and a 6-page Andrew Lincoln feature. Earlier today I wrote an introductory piece to those magazine articles for totalfilmindonesia.com (Norman Reedus Ingin Tokohnya Di Serial TV THE WALKING DEAD Masuk Komik). And here’s the English translation of that piece. All The Walking Dead TV fans know that their favorite series comes from Robert T. Kirkman’s popular graphic novels, making this AMC show highly popular and a lot of people’s favorites. But not all the comic book characters are 100% the same to the TV series and vice versa. 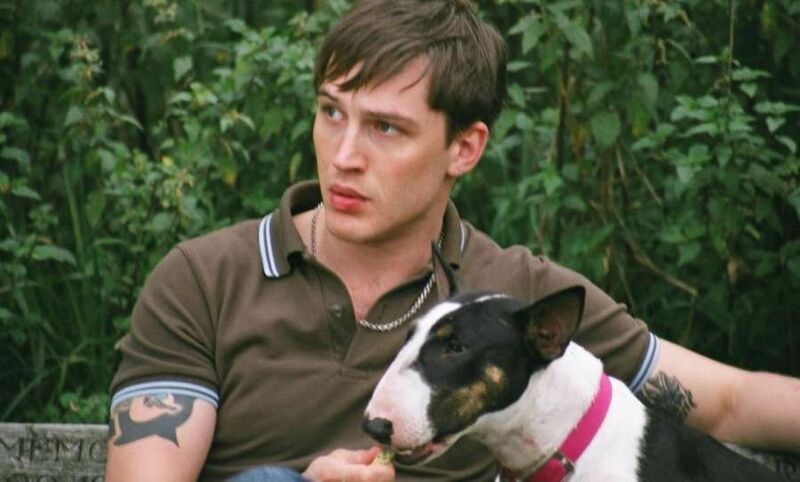 And one of those characters that exist in the TV series only but not in the comic books in Norman Reedus’ Daryl Dixon. Daryl, who made his TWD debut as Michael Rooker’s Merle’s brother, was one of the most interesting characters in Season 1. He started out as somewhat of an antagonist, parroting his big brother who was a real piece of work) but is now Rick Grimes’ (Andrew Lincoln) trusted lieutenant. Total Film Indonesia caught up with Reedus in Singapore last month and we talked about Daryl’s transformation in the past four seasons. I think once… I think he was going to be Merle. I think he was going to grow up being Merle and once Merle was sort of out of the picture, it sort of allowed him to not be sort of embarrassed to who he was going to become and slowly… and the situation that they’re all in [allows him to say] ‘it’s okay to be you’. I think he sort of learned that late in life and I think he sort of found a family in a lot of ways for the first time. But he doesn’t think Daryl is in any way ‘softening up’. “So I think that’s his way of softening up. But he’ll still stab you if look at him wrong,” Reedus said. Also, don’t call him a ‘douchebag’. (Another reporter conveyed a fan question to Reedus that used this word. Reedus’ reaction was incredulous and perhaps a little annoyed.) “Douchebag? DOUCHEBAG?That’s a bit harsh! Give me that guy’s address!” he quipped with a little shake of his head. The most important question on the table, though, is this: is Robert T. Kirkman, the graphic novelist who is also involved as a writer and producer in the TV series, going to put Daryl in the comic book? Does Reedus know anything about the status of Daryl’s graphic novel existence? We reckon that all the fans who want Kirkman to put Daryl in The Walking Dead comic book should stop asking and just offer the author a huge favor… anybody up for washing those cars? More on Norman Reedus and his The Walking Dead character can be found in Total Film Indonesia #52 (coming out this weekend). TWD is playing on Fox Movies Premium in Asia. New episodes are broadcast every Monday morning at 10.30 AM (Indonesia time) and replayed on the same day at 19.10. Are you hooked on this feeling yet? 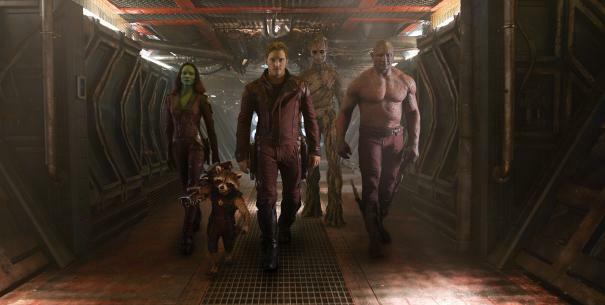 Marvel’s Guardians Of The Galaxy is proving to be a serious summer blockbuster contender! I’ve been waiting to see what Marvel and director James Gunn are doing with this particular Marvel property… the comic is obscure enough to feel like a novelty in the Marvel Cinematic Universe but the story of the comic book (that is, the 2008 version) is quite good so that people who’ve read it like it enough to get excited about it and promote it. Personally, I think this team have a great set of characters just from the looks of them (I mean, a tree and a talking gun-wielding raccon? Those are already winners in my book!) and I think they are totally different from other MCU titles so people are going to be curious to see what the Guardians are all about. Marvel also seems to be doing quite a lot to familiarize us with the characters and the movie’s concept months ahead of the release in August. 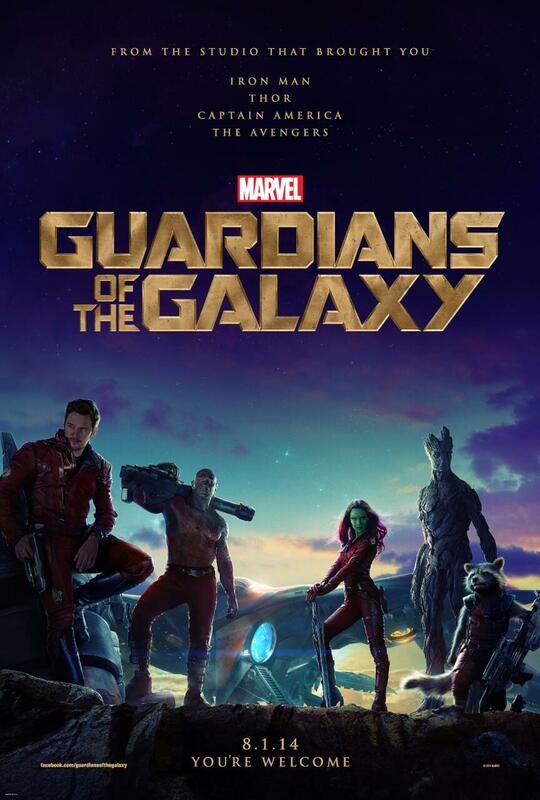 They released the official trailer yesterday and have just now released 5 intro clips introducing the GOTG crew members. We get to hear Rocket Raccoon’s voice by Bradley Cooper (no Cockney accent here and I like it) as he and the rest of the cast introduce their characters in the movie. This way, we have an idea of who they are and what they’re going to look like, if not really completely aware of the whole story just yet. I admit to liking very much how Marvel builds up the hype for James Gunn’s comic book flick – it doesn’t have that overly smug feel of TASM2‘s major promo and the confusing way Bryan Singer is promoting X-Men: Days Of Future Past (I mean, I love X-Men, but honestly… announcing Apocalypse even before DOFP is out strikes me as an attention-seeking move. But that’s probably just me.) Now we’ll just have to see how Marvel Studios will treat this movie at Comic-Con! Anyway. Enjoy the videos below, right after the poster.